Do they feel high quality? 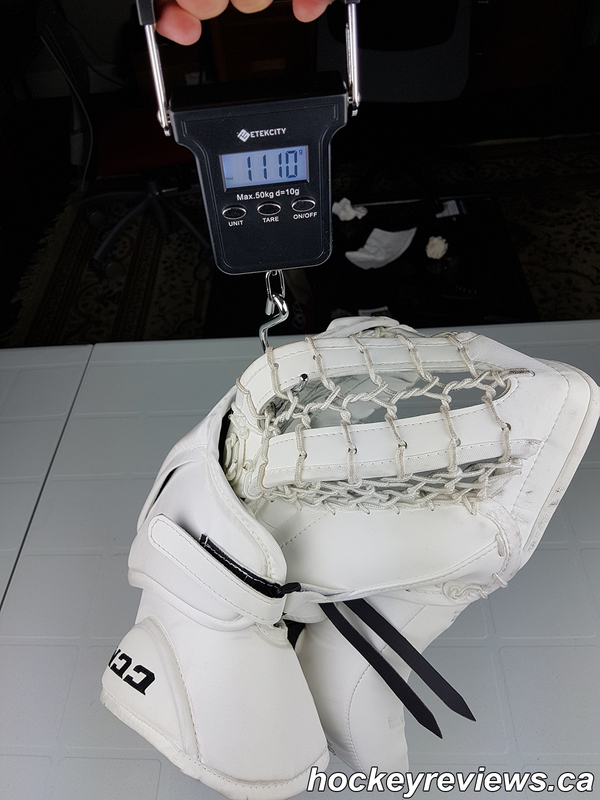 Do the glove fit true to size? 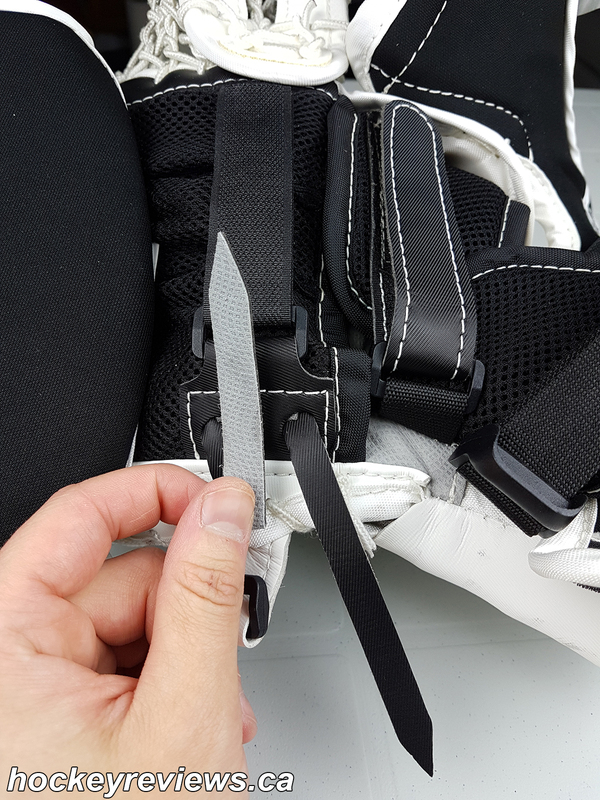 Is their adjustabilty with straps? Are there any hard points that create discomfort? What it is labelled as? How it compares to competitors? Scored based on my preference? How is the rake of the thumb angle? 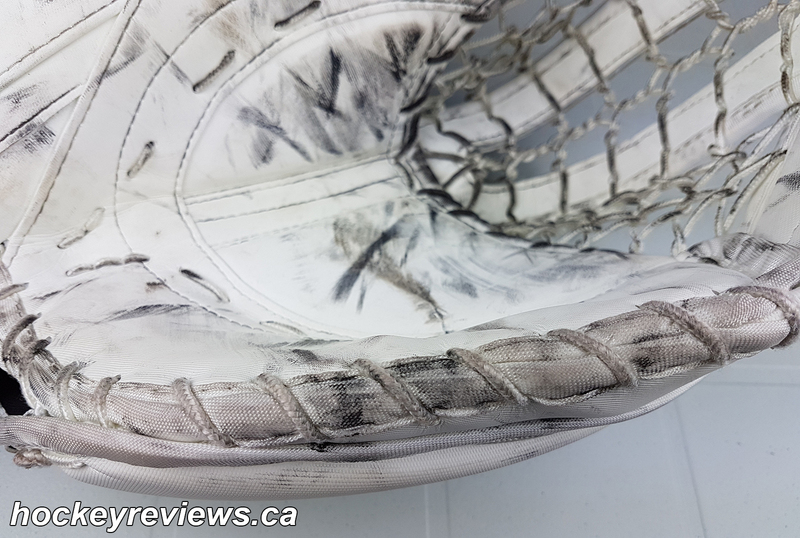 Does the thumb cause rebounds or push pucks into the pocket? Does the thumb close snuggly with the break angle? Is there any interference in the palm when closing the glove? 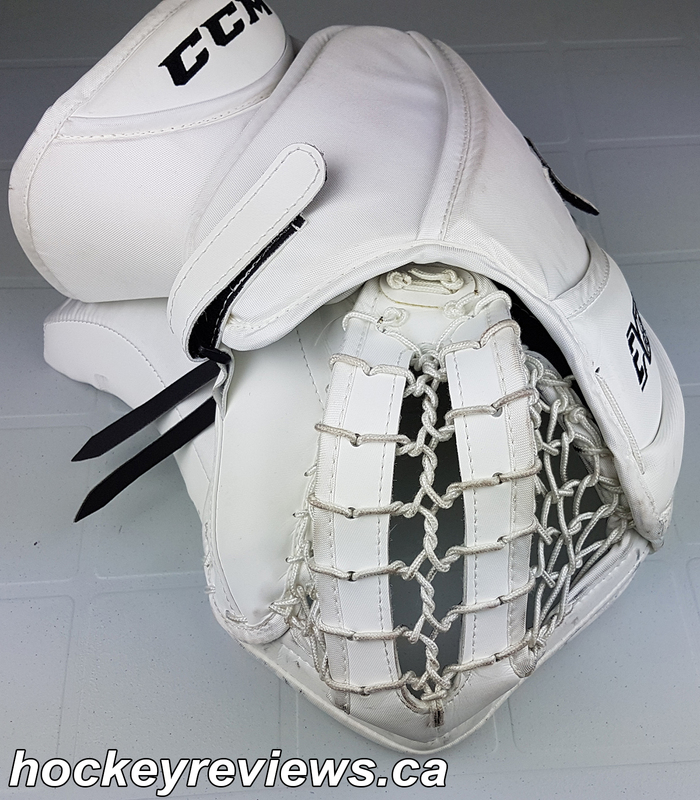 How easy is the glove to close out of the box? Does the glove break in easy? 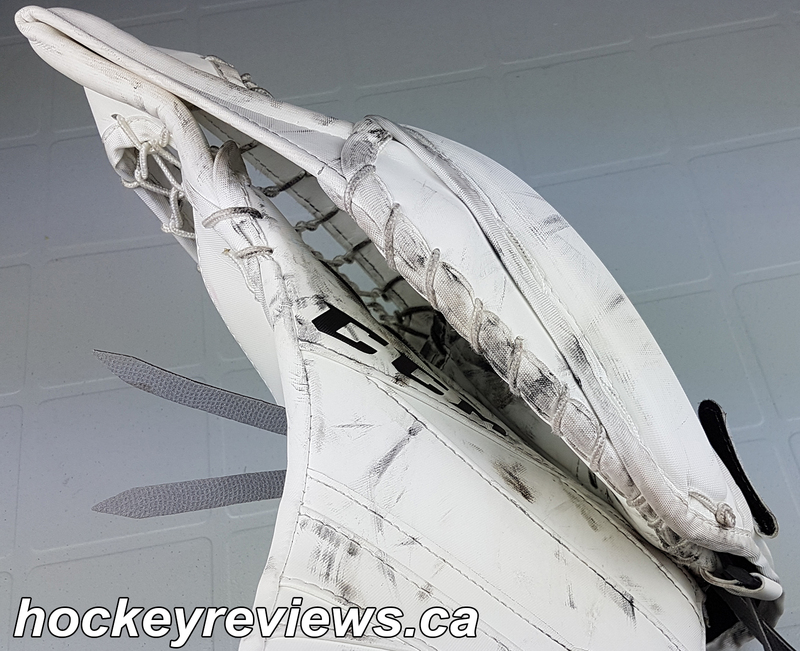 How does the glove seal on the ice and hold onto pucks? Is there any issues when playing? 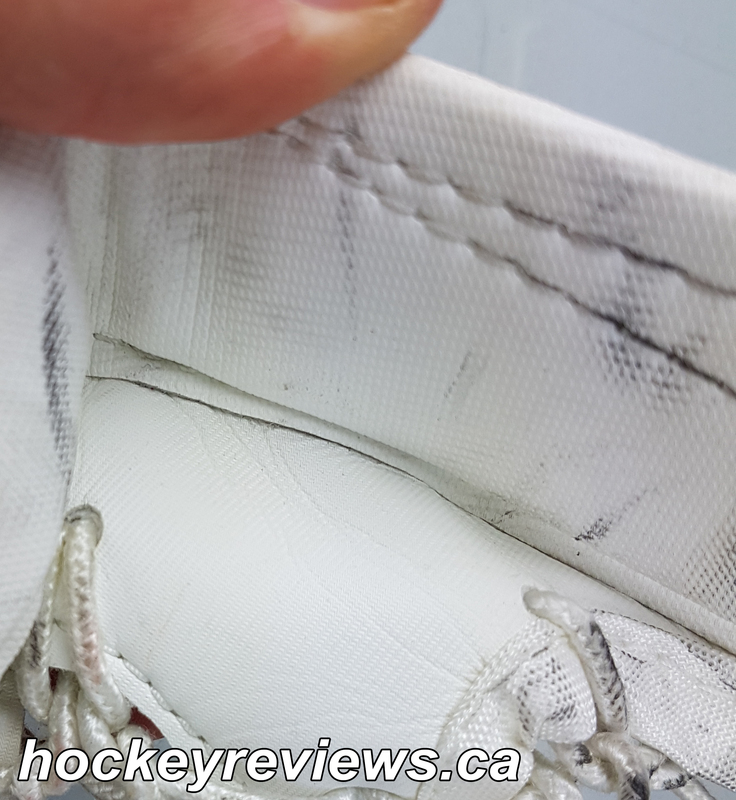 Does the balance help stop and catch pucks? 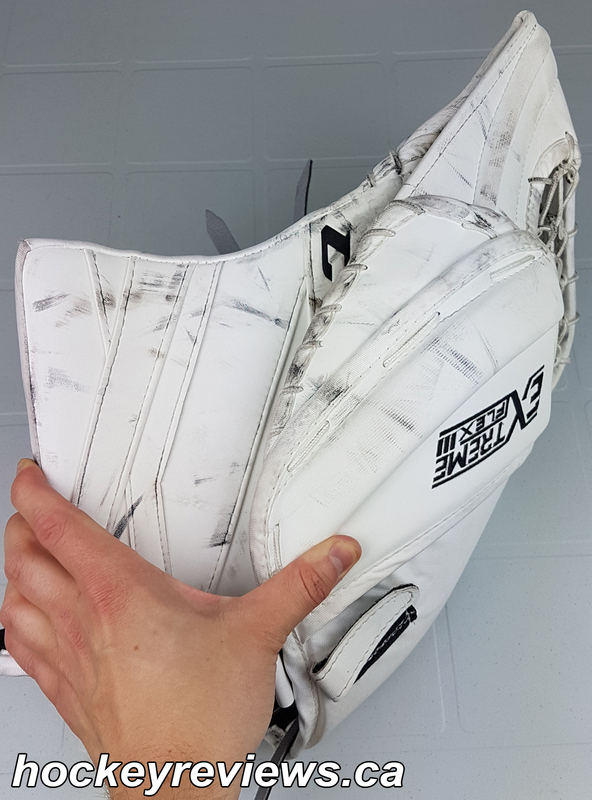 Is it easy to cover pucks? 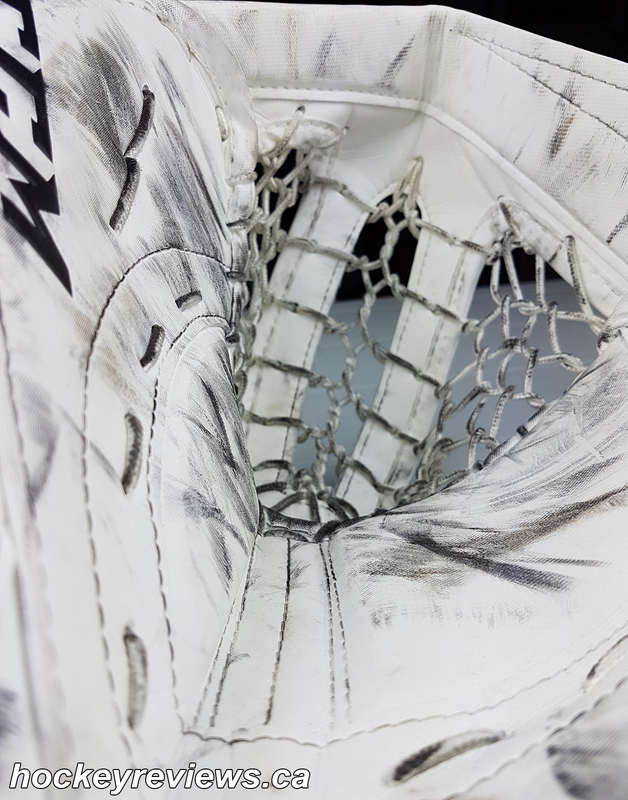 Initial Thoughts: Besides the Speed Skin the CCM Eflex 3 catching glove feels fairly similar to the previous iterations of this glove line. 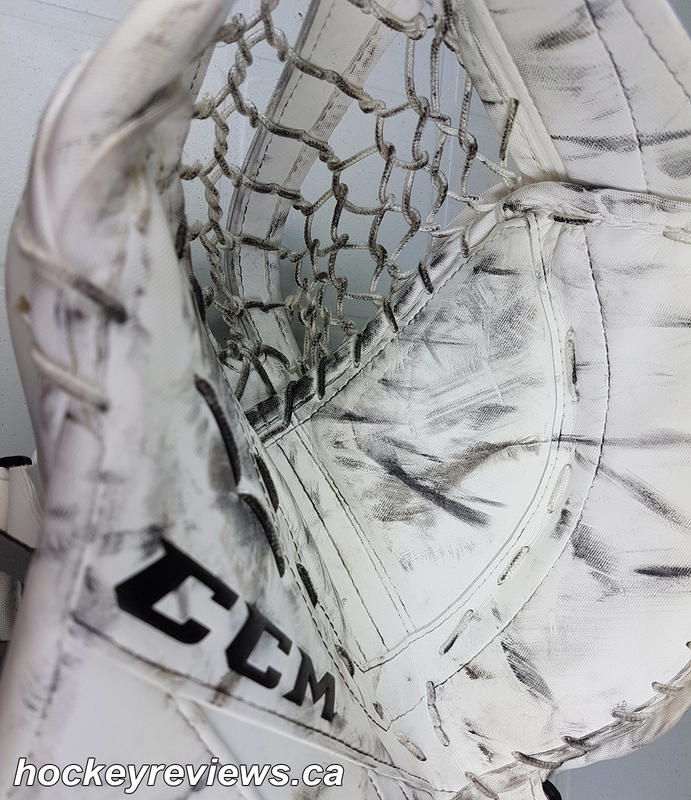 The glove did go through some make up changes that according to CCM were done through feedback given by Carey Price. 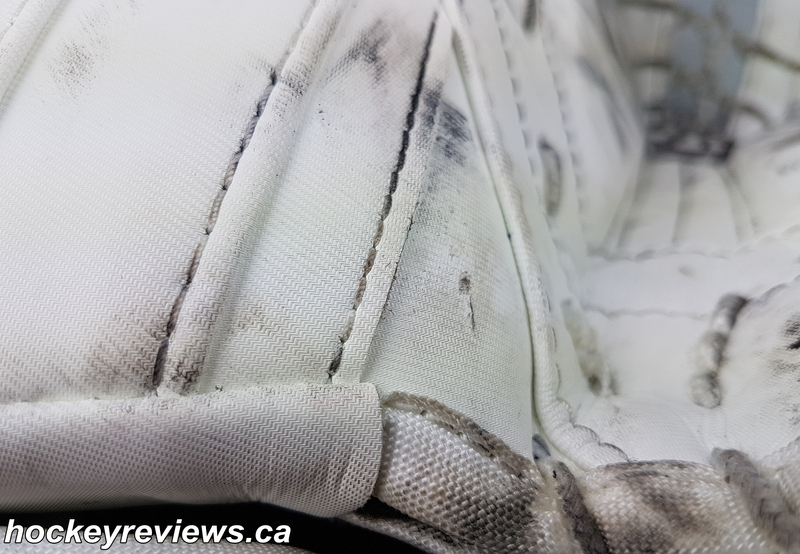 You can feel a slight difference between the CCM Eflex 2 and this CCM Eflex 3 glove. 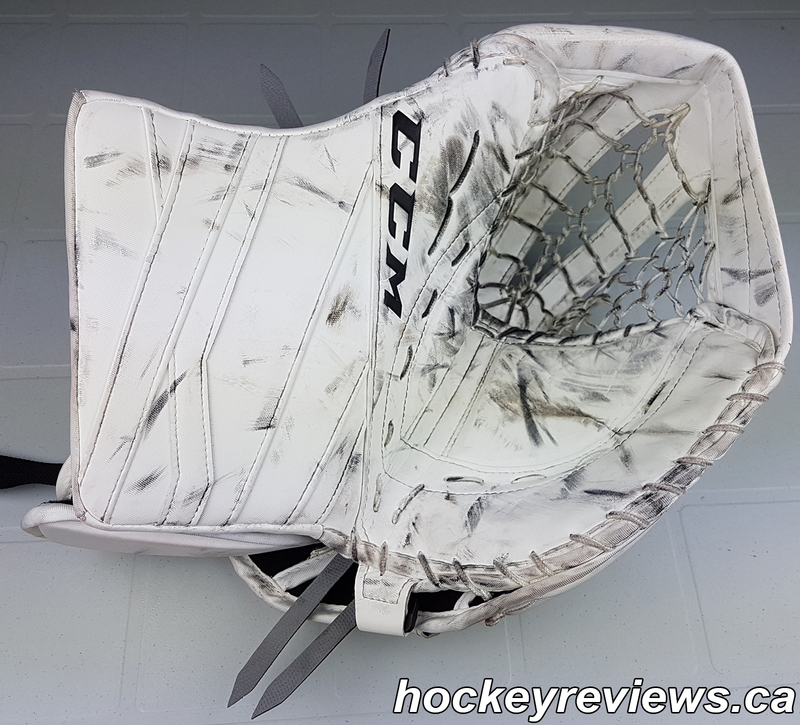 But if you liked the previous CCM 600 break gloves I feel the transition to the Eflex 3 will be an easy one. 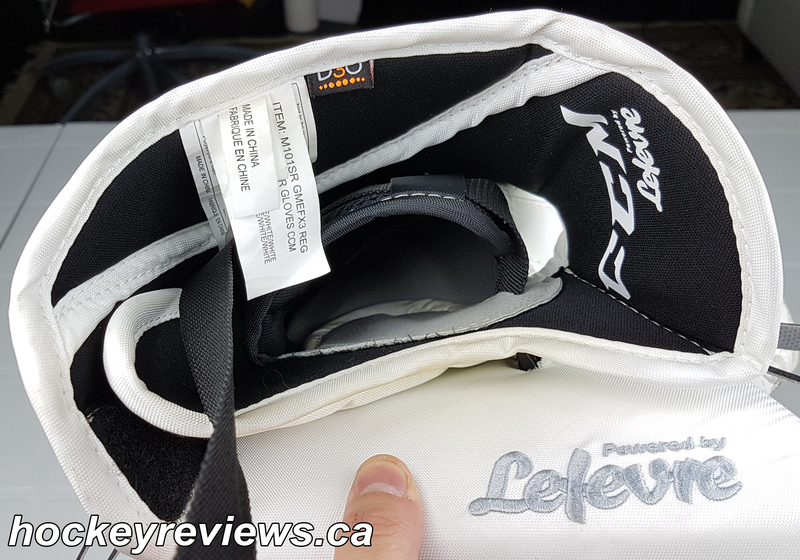 Just like the rest of the Eflex 3 line the catching glove feels very no-frills with no unique features or tech besides the Speed Skin. 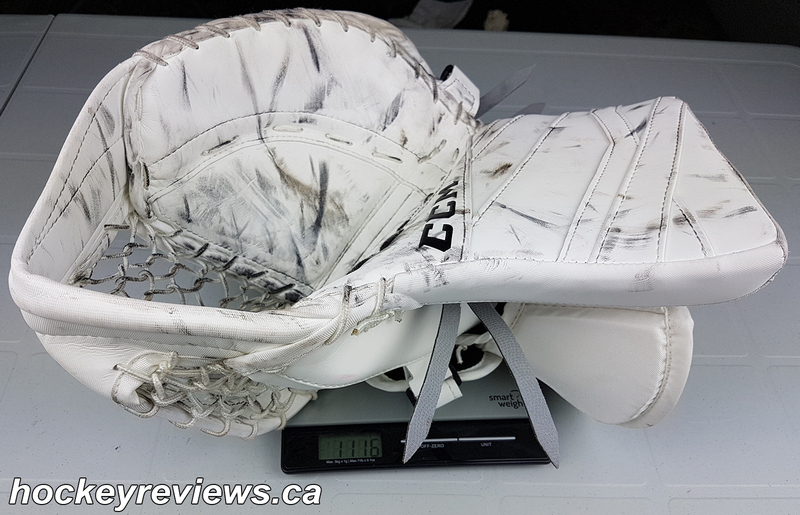 It also feels pretty thin in regards to a pro level glove. 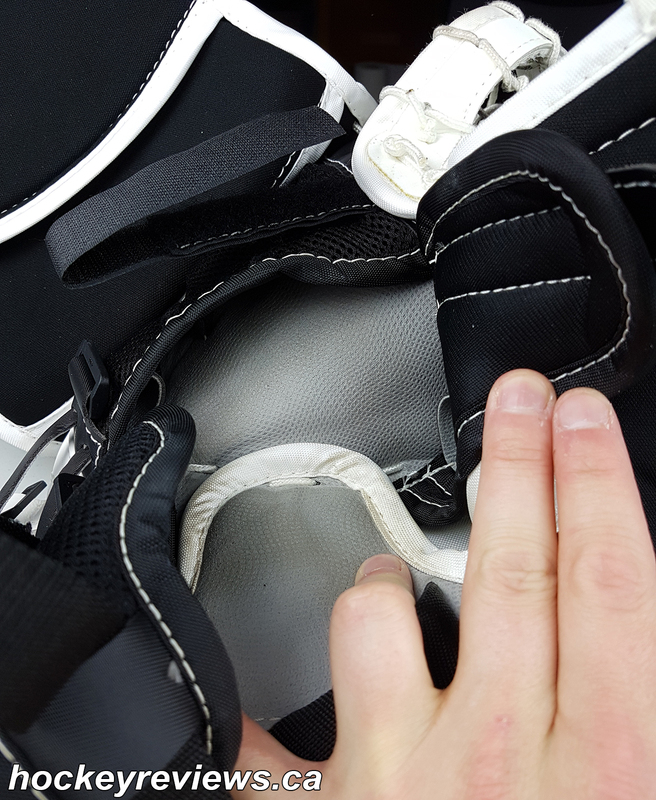 Fit: There are 2 velcro straps that go across the fingers and the back of the hand. 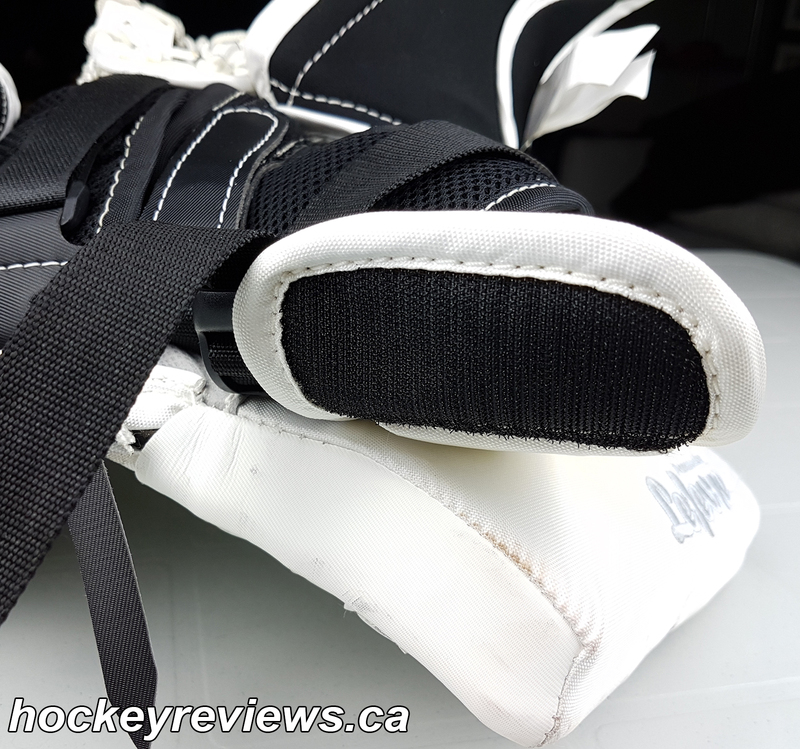 Then there is an adjustable nylon strap that can be pulled through backhand cover so you can adjust it on the ice. 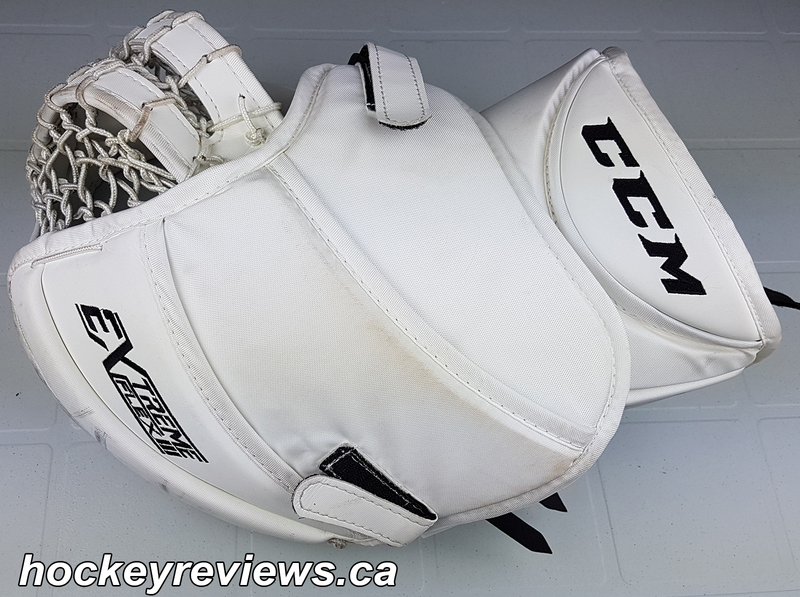 CCM still includes the pinky and thumb loops on the Eflex 3 catching glove, which is a huge bonus for me. I like the tight feeling of the thumb and pinky loops and like to tighten them during the game. 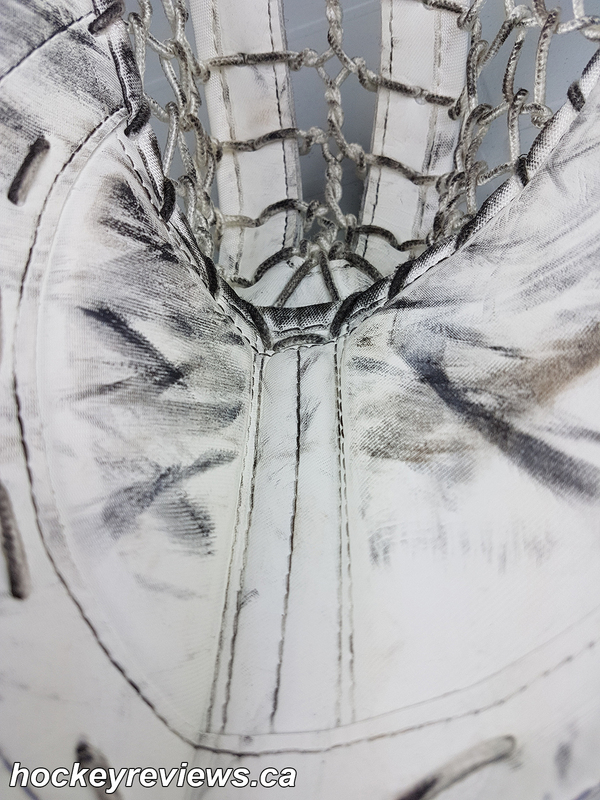 Thumb Angle: The thumb slopes into the pocket at an aggressive angle, it is far from a pancake design and should help angle pucks into the pocket. Seal on the Ice: Again since I didn’t get a chance to use this glove in a game, I cannot really comment on this besides showing the glove laying flat on a table. 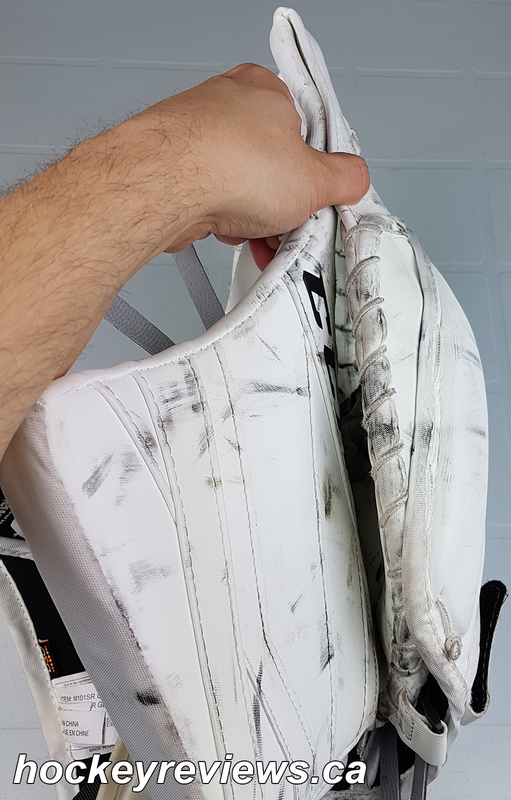 Durability: I used this glove even less than I used the pads, so I can’t really comment on durability of the CCM Eflex 3 catching glove. 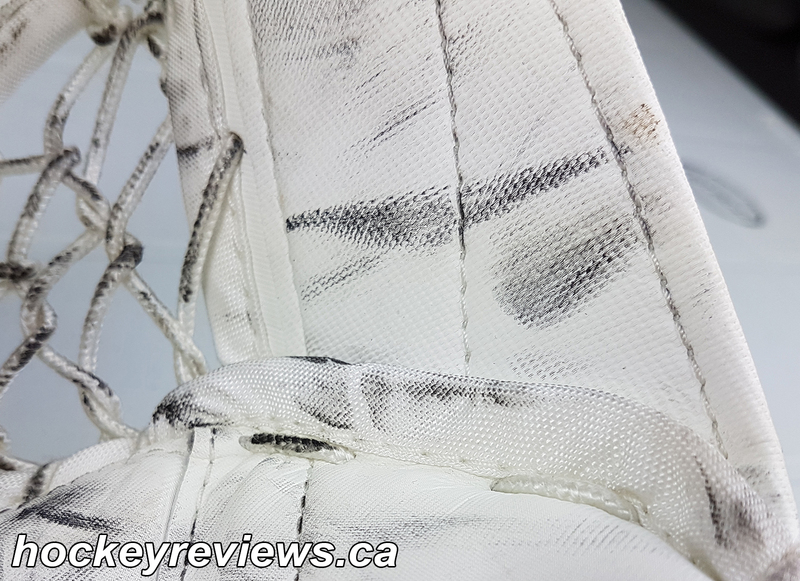 I can say there was some material splitting on the tee of the glove and the famous CCM heel of the palm wear was also visible on this glove. While these issues were not huge, it does make me worry if the new material on the tee (the tee is made up of a different material than Speed Skin) and Speed Skin can actually hold up with constant rubbing. 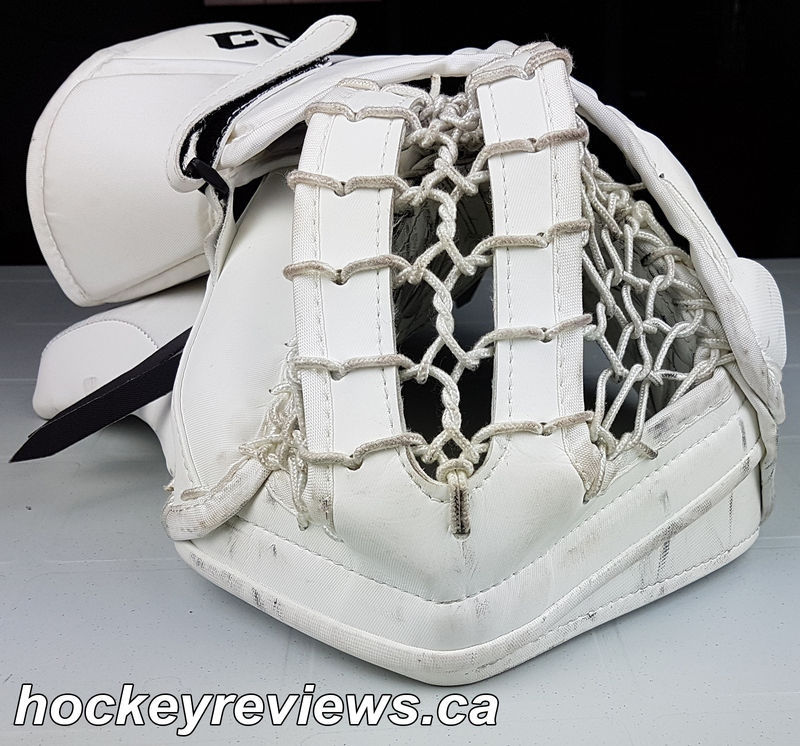 Performance: Since the game ready palm is very flimsy and soft on the CCM Eflex 3 catching with it was considerably easier than with my practice palm glove. 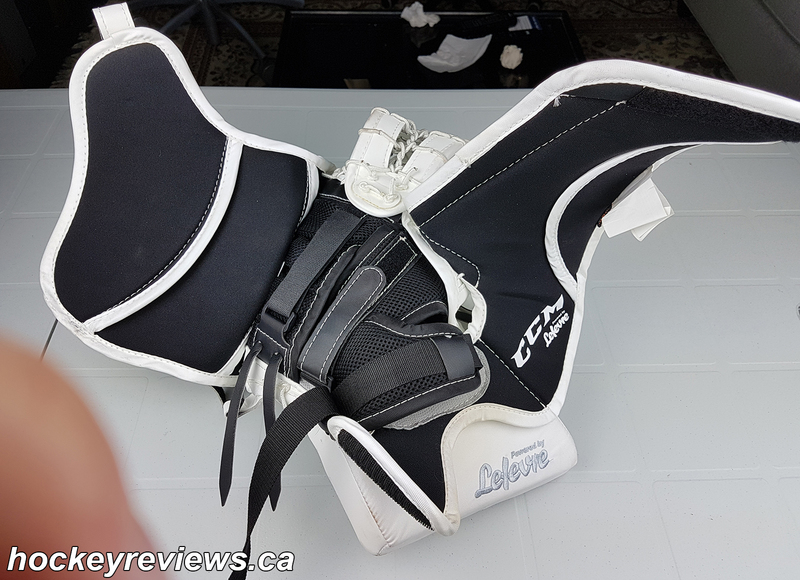 But because I didn’t get a chance to use it in an actual game I don’t feel comfortable rating the CCM Eflex 3 catching gloves performance.